Regular team training is held on the first Sunday of the month as well as mid month evening training. 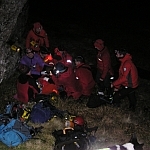 Planned exercises are undertaken ranging from stretcher lowers, first aid scenarios, casualty packaging, equipment awareness, navigation, winter skills, search management etc. 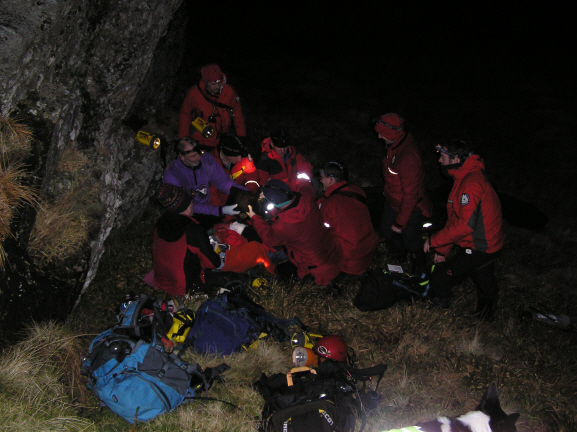 Most training is completed during the day but we have occasional night-time training exercises. Joint exercises are undertaken with Strathclyde Police MR Team. Occasional joint exercises with neighbouring teams and the coastguard are undertaken. 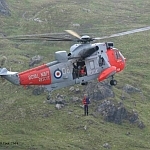 At least once session per year is helicopter training and is carried out with Sea Kings from HMS Gannet. Training is carried out at various locations throughout our operational area thus increasing the teams "local knowledge". 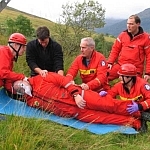 courses or with our two team doctors "in house" training. External training is also undertaken. Typical examples include Search Management, Defensive driving and Winter Skills. 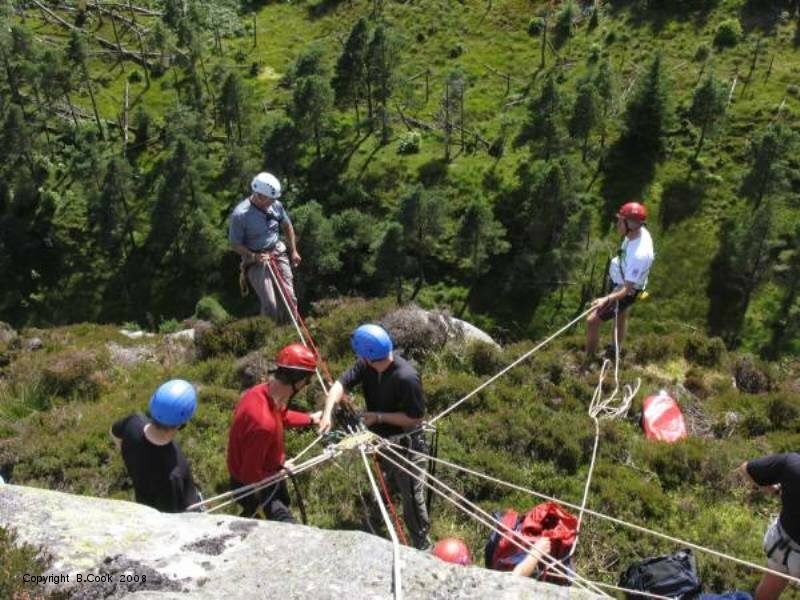 Team members are encouraged to undertake Summer and Winter mountain leader awards. 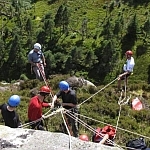 Our Training officer has the responsibility of organising and recording of all training.